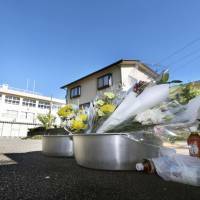 TOYAMA - An elementary school in the city of Toyama near the site of a shooting and stabbing incident last week said Monday it will remain closed after a threat was made to attack it. An email warning that an attack would take place Wednesday against Okuda Elementary School in Toyama Prefecture was sent to Asahi Shimbun Co., a major daily newspaper publisher, according to local police. The police will look into the threat as a case of intimidation or forcible obstruction of business. The school has been closed since last Tuesday, when a 21-year-old former Self-Defense Forces member stabbed a policeman to death at a nearby police box and stole his handgun, before fatally shooting a school security guard near the school’s front gate. The school, from whose premises two bullets were recovered after the incident, said it decided to continue closing classes to ensure its pupils’ safety. Among measures to alleviate the pupils’ trauma, the school plans to change their routes to school and bolster efforts by police and residents to watch out for their safety. The school will also stop using the corridor where one of the bullets was found and a counselor will provide support for students. In Tuesday’s incident, the school evacuated about 410 students to the school gymnasium after being informed by police of the attack, and the vice principal stood guard at the school’s entrance while holding a forked pole, a weapon used to restrain people. Keita Shimazu, now hospitalized, was arrested at the scene after being shot by another police officer. The police found one knife at the police box and another in his backpack. He was also holding two knives at the time of his arrest. 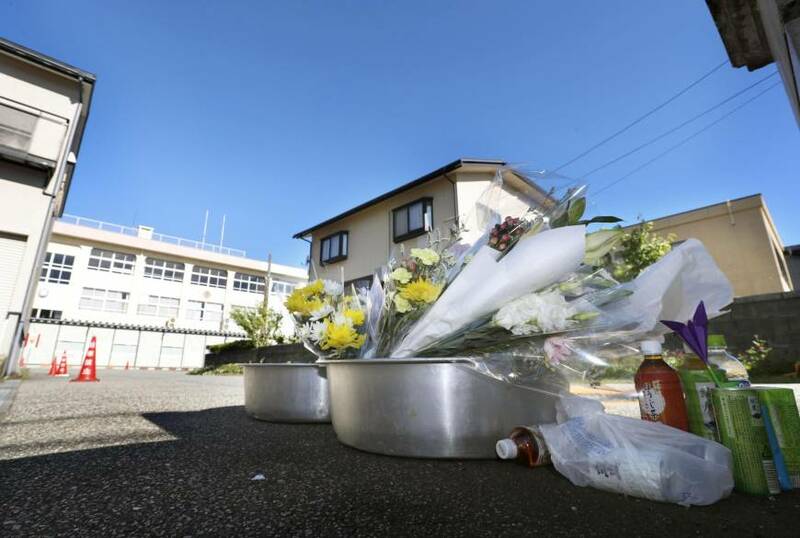 According to investigative sources, Shimazu told his family to “abandon his belongings” right before he attacked the police box, suggesting the attack, which occurred at around 2 p.m., was premeditated. On the day of the incident, Shimazu had assaulted his manager at a fast-food restaurant, where he worked part-time, after being scolded about work, breaking the man’s ribs, the sources said. Shimazu left the restaurant and told his family through an online messaging app about the altercation and that he planned to quit his job, according to the sources. The stabbing at the police box some 1.7 kilometers from the restaurant occurred about an hour after he left the restaurant. The police discovered a smartphone, believed to be Shimazu’s, near the elementary school and are looking into his search history and other records.